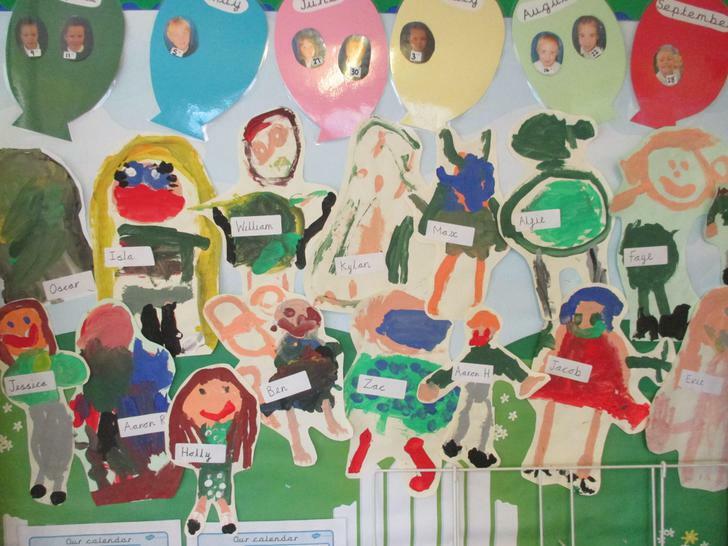 Don’t forget to check out different parts of our class page for more photos, I have been adding lots of photos Reception Photos 2018-2019 page too! 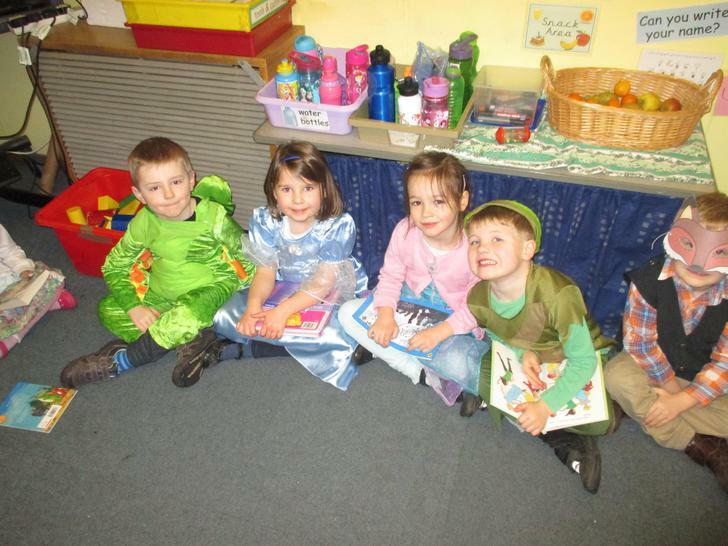 Lots of fun at school! Please practise this skill, orally as well as reading, so your child becomes really confident at this. 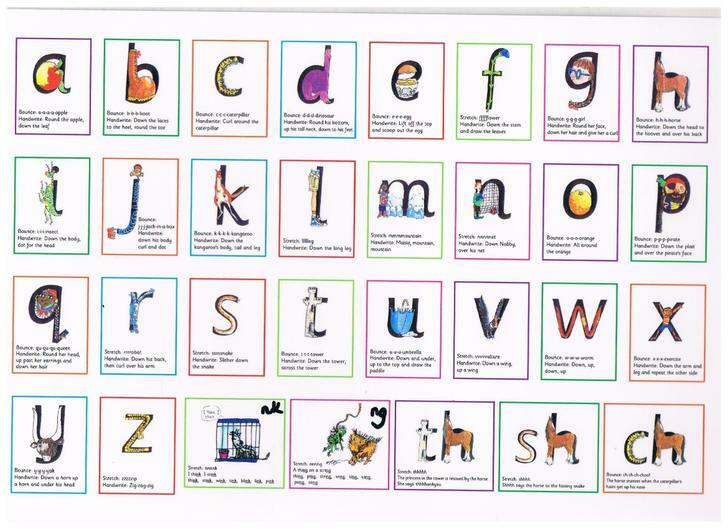 I will be sending home some handwriting homework this term, please help your child learn how to write each sound and then move on to writing simple words and sentences. I can run. I am big. The cat is fat. Please practise these as often as possible, as flash cards, write them on pieces of paper and play pairs, use fridge magnets and point to them every day! If your child does not know it, tell them the sound and ask your child to repeat it. If your child is struggling to remember the sounds, pick 4 sounds to really practise then keep adding one more sound as they get better at remembering them. Little and often is key! Keep going and don't give up, even if your child finds it tricky! 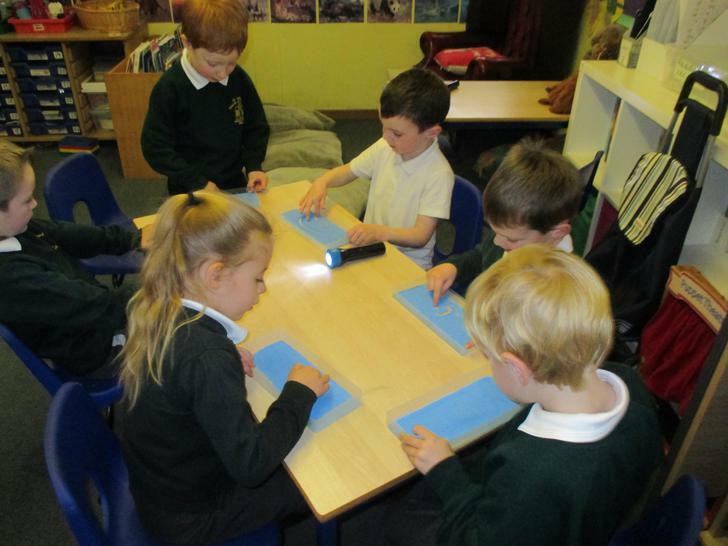 We have had a lovely term learning all about our bodies and our senses. 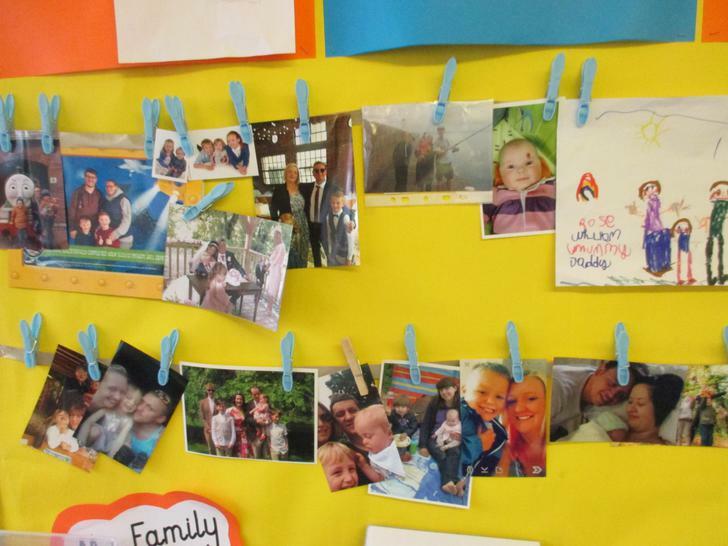 The children have been bringing in photos of themselves and their families to talk about in class. 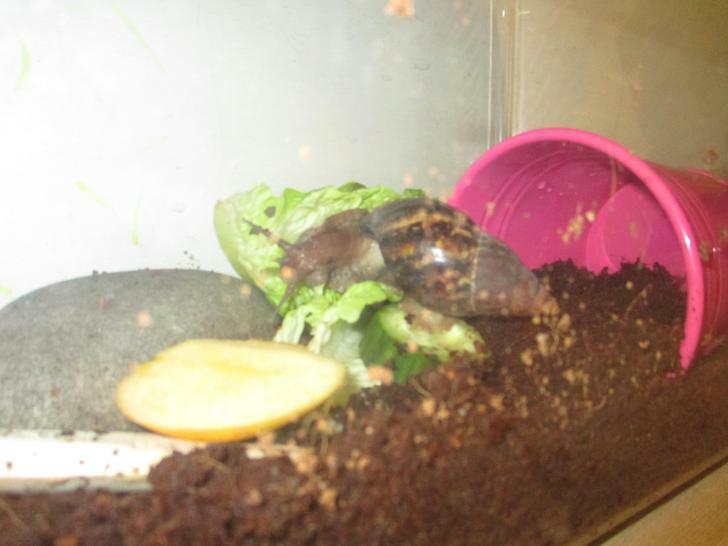 We have also talked about our pets, so I brought in my pet African Land snail called Luna. She spent a day with us and is looking forward to coming to visit us again soon. 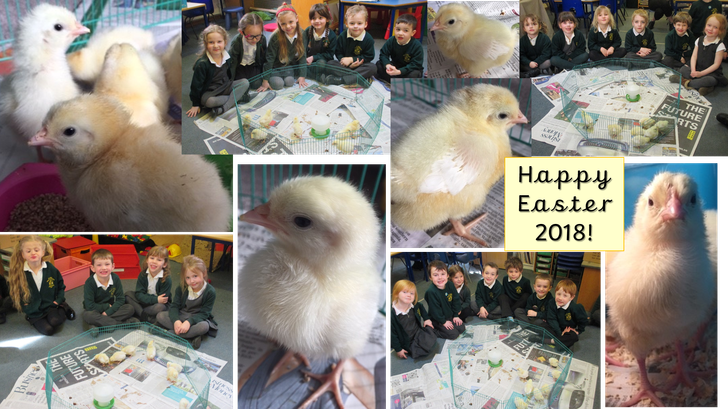 What a busy first two weeks we have had! 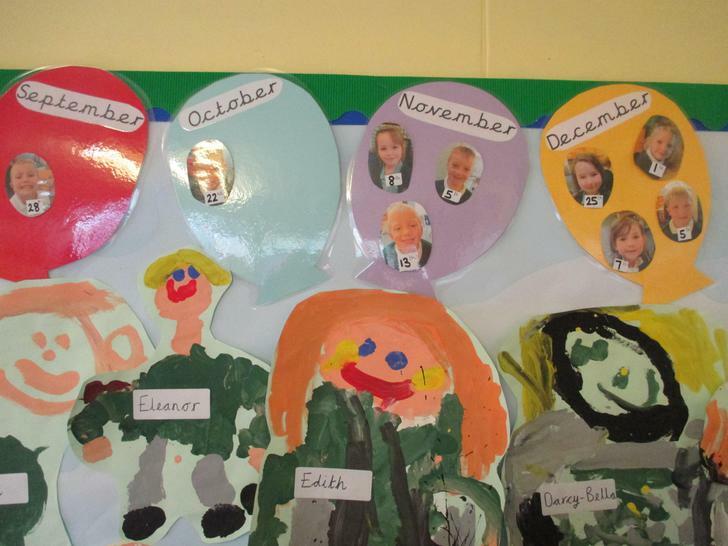 The children have settled beautifully and are already learning our school routines. 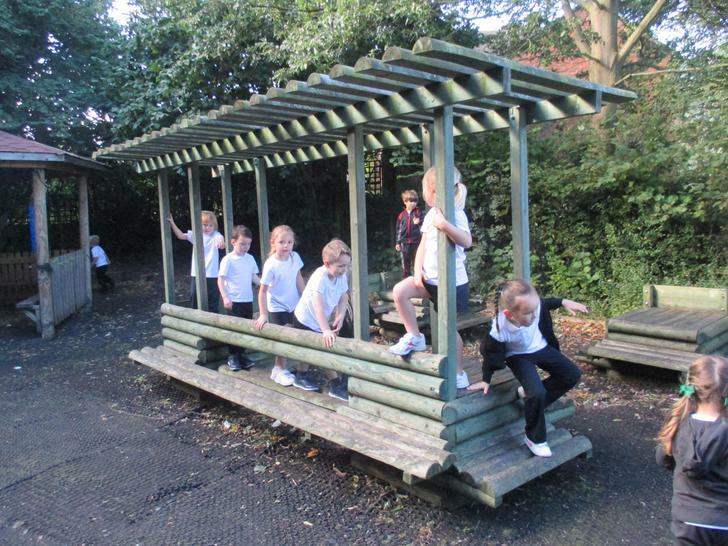 They have enjoyed their first week of school dinners and exploring the big playground, meeting lots of other children and making friends! 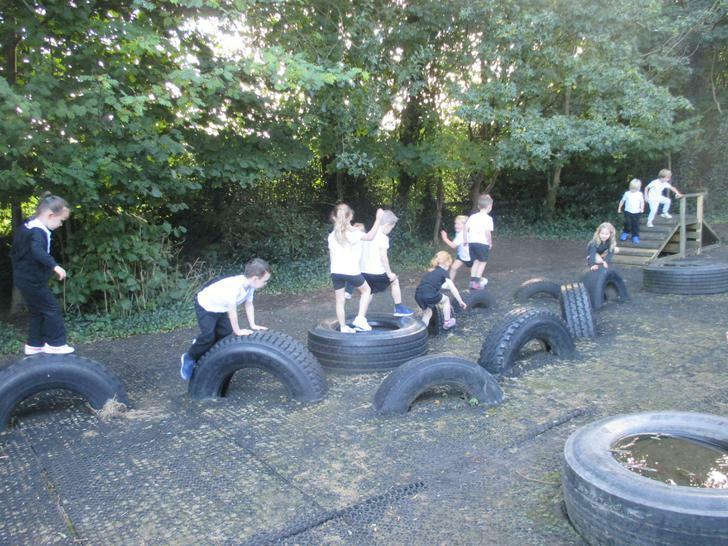 All children in Reception at St John's use the whole of our inside and outside learning environment together. Each class also has their own classroom space. I have been busy setting up our classroom ready for the start of term. 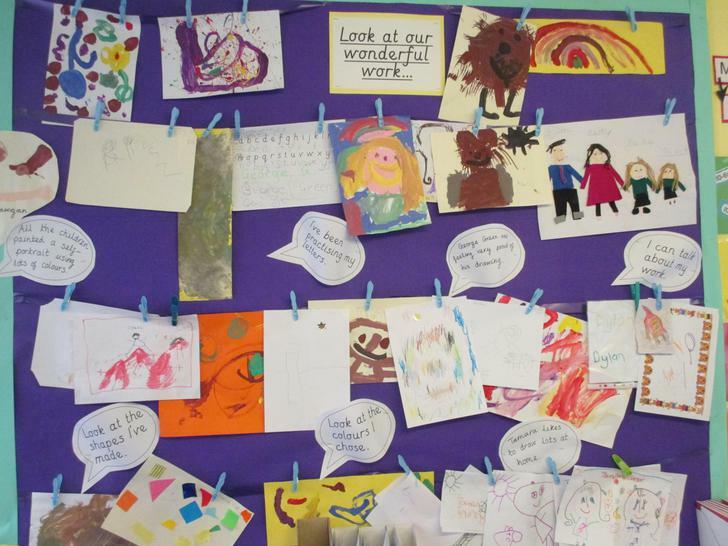 During the first week I will take photos of the children settling in to school, and the children will be painting pictures to put on my display! 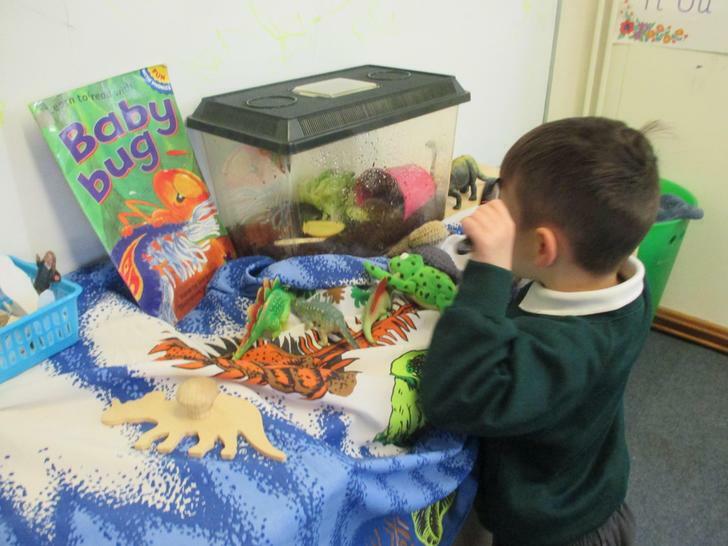 Each Friday one child will be able to take home our class pet, Tigs the dog. He will have a diary for your child to add photos, drawings and writing in. Please make sure Tigs is back in school on Monday so we can find out what he has done over the weekend. I will be giving him out to the children in (first name) alphabetical order, so please don't worry if your child has not received Tigs yet. He will be coming home with every child at some point this year! *Keep reading lots, go to the library and take part in the summer reading challenge. Certificates are awarded at the start of the autumn term. *Keep a holiday diary - get your child to write about their holiday, take photos, draw pictures and write some simple sentences. I am sure there will be some credits given out for any fabulous holiday homework! 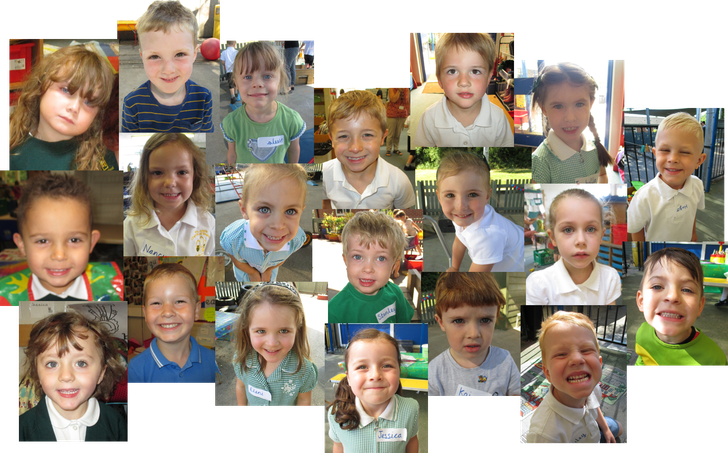 I can't believe we are now over half way through our Reception year at school. Your children are wonderful! 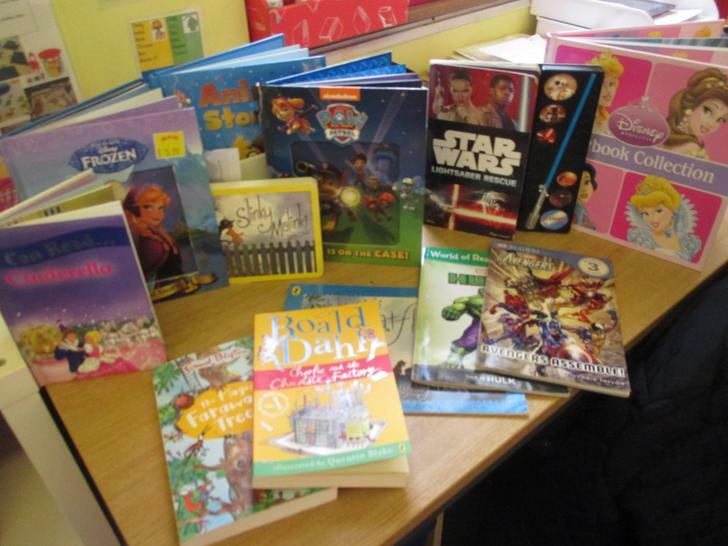 I love teaching my class and I am amazed by how well they are coming on with their reading, writing and maths. 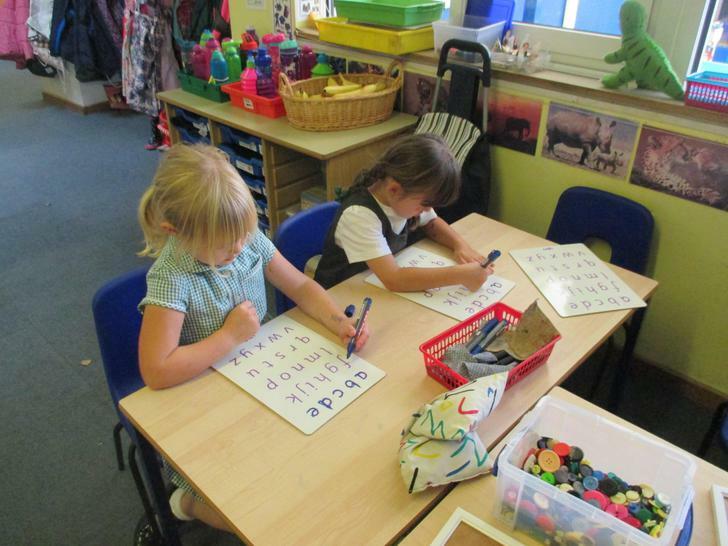 The children are beginning to write at more length, in complete simple sentences. 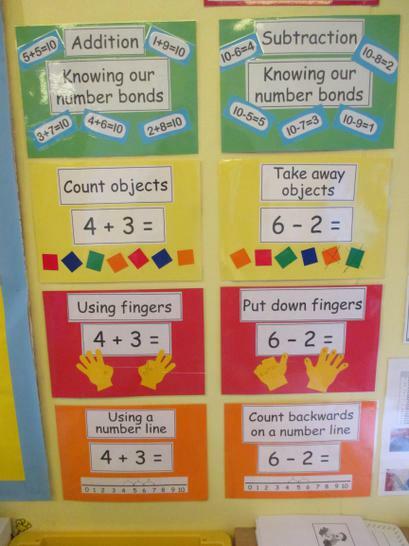 Please continue to practise this at home, remembering fingers spaces and full stops at the end of each sentence. Look out for your child's new targets too. 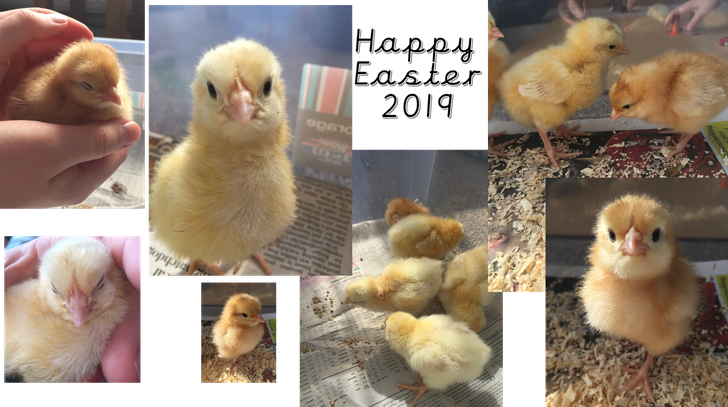 We have had a great start to this half term, from finally getting outside for some PE (having been snowed off last week) and our living eggs have arrived, we can't wait to see how many chicks hatch out! Go to our Reception photographs link to see some more photos. loud (say the sounds c-a-t and see if your child can blend the sounds to make the word 'cat'). This term we are moving on to our long vowel diagraphs, each new sound will be coming home every week. 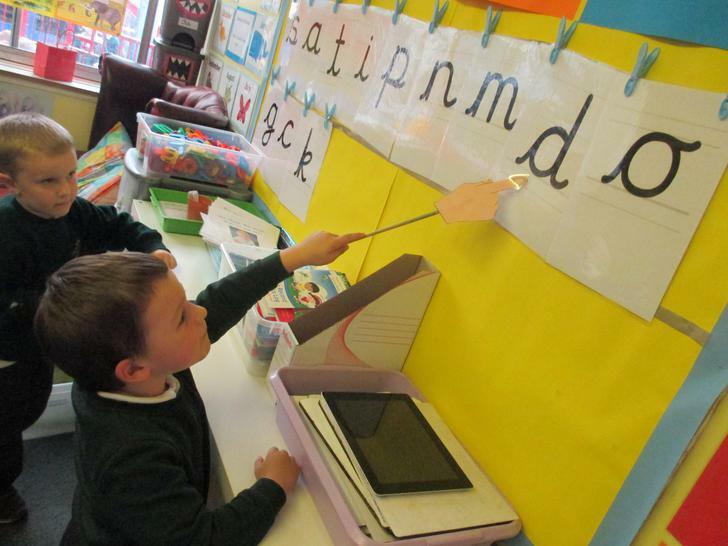 Keep practising reading and writing each sound. Don't forget to practise those tricky words too! 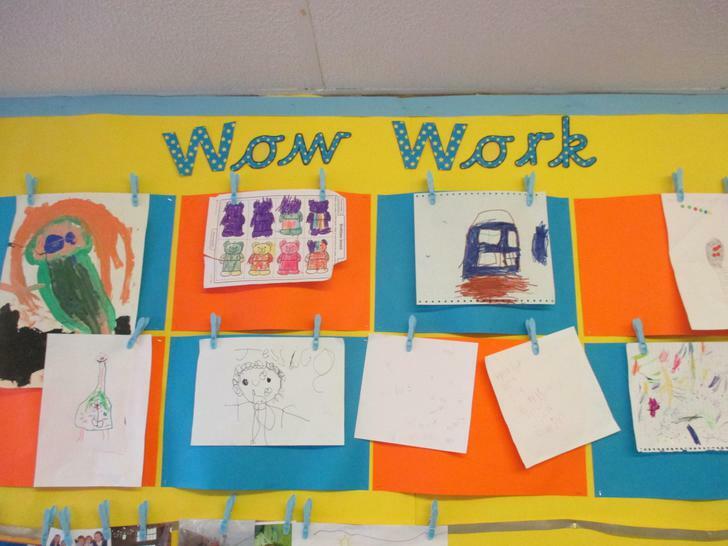 Our wonderful classroom displays, self-portraits and our ever changing WOW wall of wonderful work! 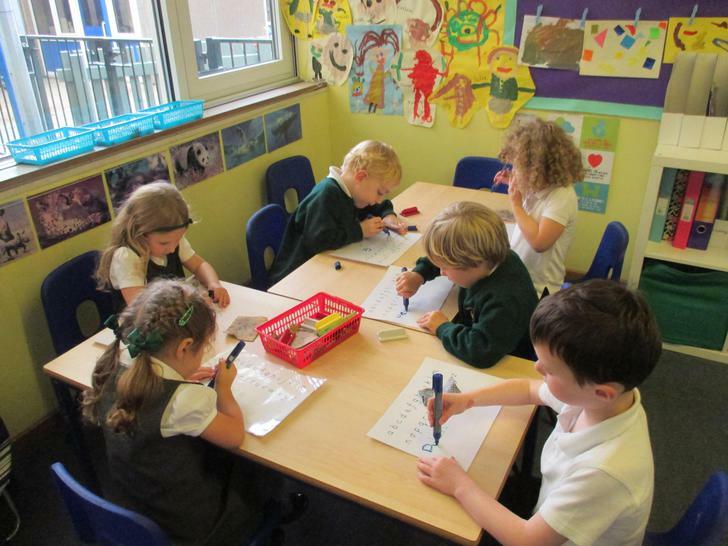 This children are working so hard on writing their sounds too... keep practising lots at home! 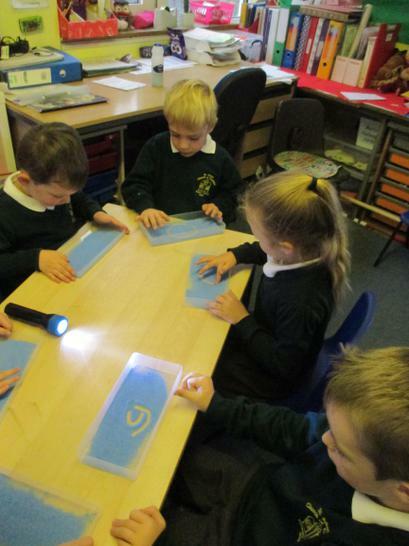 They have enjoyed learning how to write them by learning a simple phrase, for example 'a' is 'round the apple and down the leaf'. 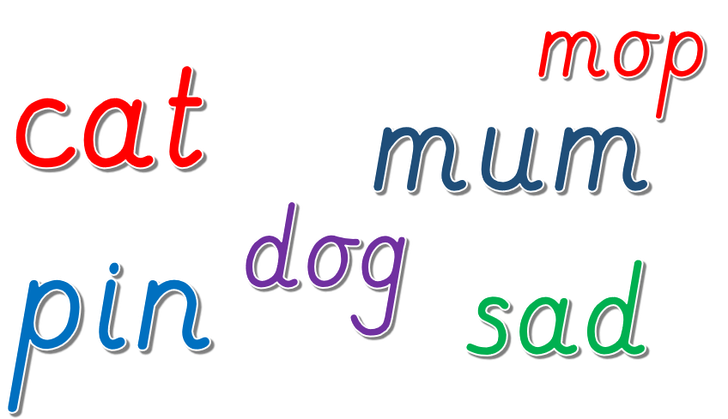 If you would like to help your child and learn these phrases too - they are found in the reading and phonics support section on our class page. 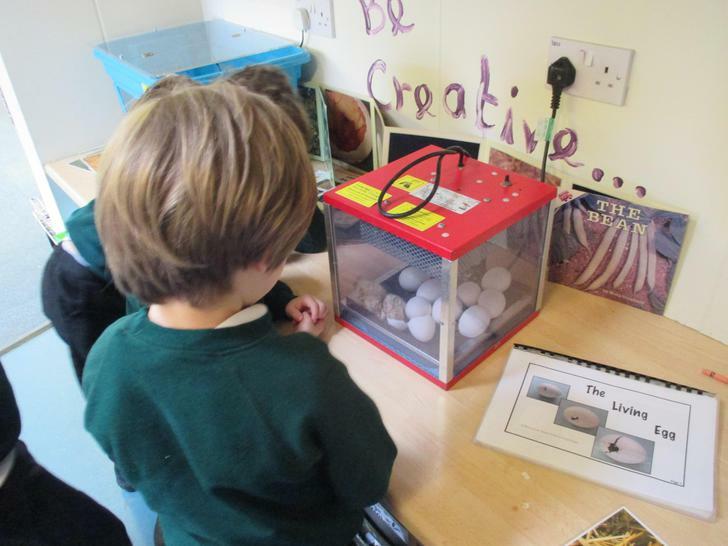 I have loved watching the children choose to do writing tasks during their free choice time throughout the day. Keep up the hard work! Outdoor PE is on a Wednesday, and indoor PE is on a Thursday for my class. The children are expected to have a go at getting changed themselves. It would be great if you could practise these skills at home by letting your child get dressed themselves in the morning and at bedtime into their pyjamas by themselves. Let your child practise putting on their own socks and shoes as often as possible. Please make sure all clothes and shoes in PE kits are named. 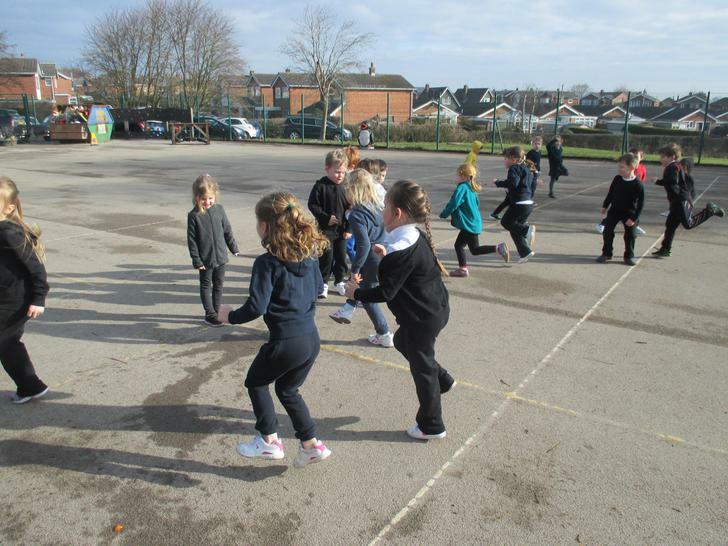 We had a brilliant first PE session, the children explored the bark area and are getting used to stopping on the blow of a whistle! Well done my class! 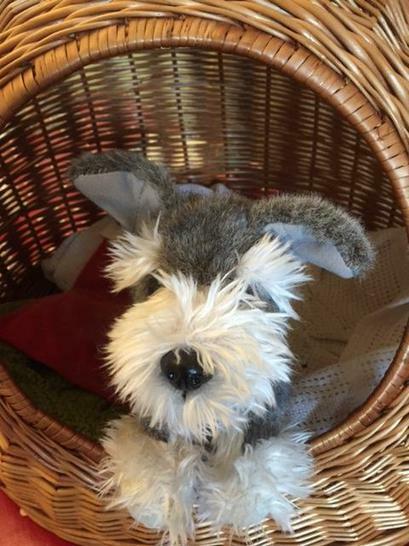 Each Friday one child will be able to take home our class pet, Max the dog. Max has gone on an exciting adventure! 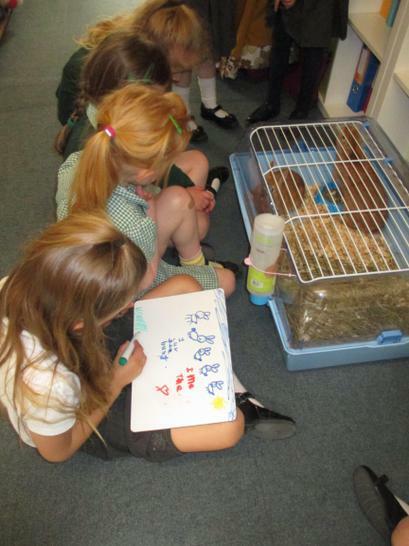 His friend Tigs has come to visit our class and is really looking forward to coming home with the children now! 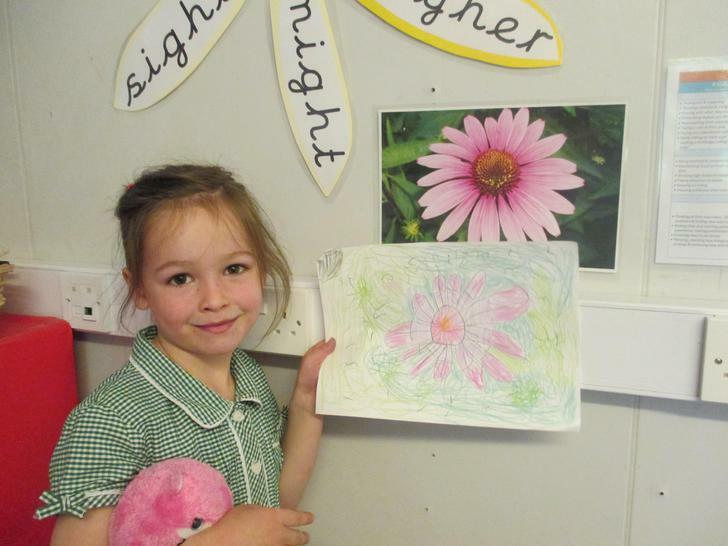 Tigs will have a diary for your child to add photos, drawings and writing in. Please make sure Tigs is back in school on Mo nday so we can find out what he has done over the weekend. I will be giving him out to the children in (first name) alphabetical order, so please don't worry if your child has not received Tigs yet. He will be coming home with every child at some point this year! 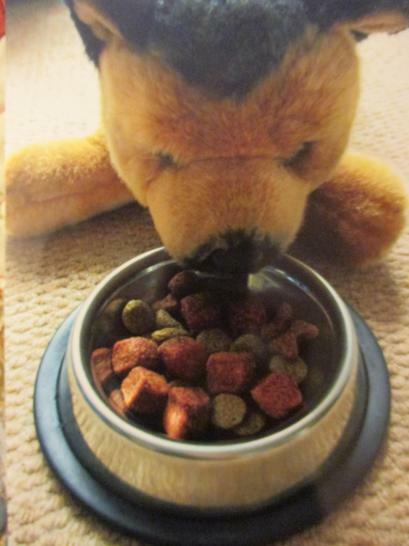 This is Tigs eating his dinner! WOW! Can you believe we are coming to the end of this academic year? My children have been a pleasure to teach and I am amazed by the progress they have all made this year! 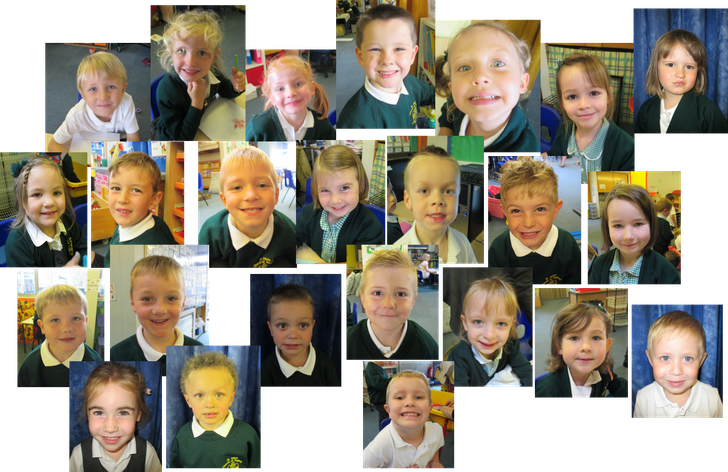 I am so proud of how well they come into school independently and are all very ready for moving into Year 1 in September! 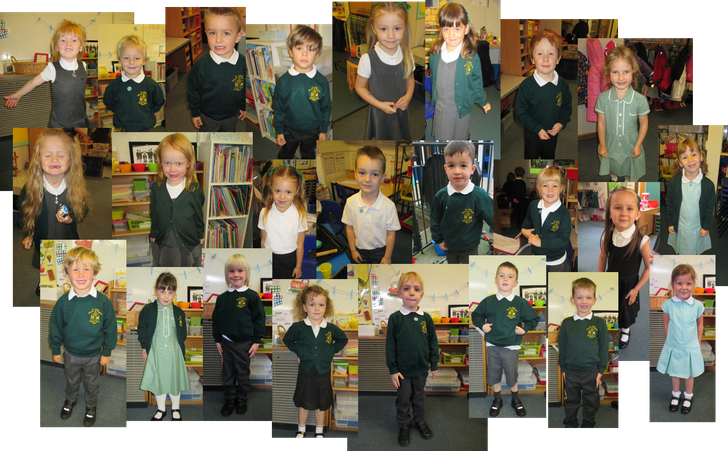 All the children had a fabulous transition visit this week to their new class. 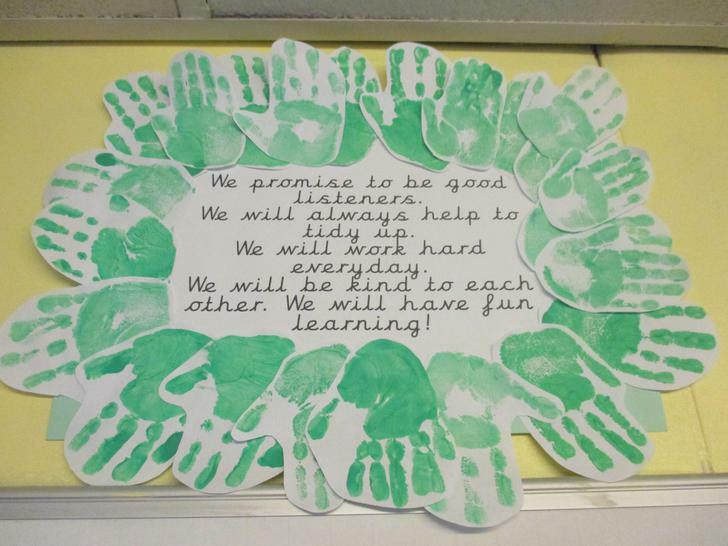 Mrs Brassington and Mrs Garbutt had a lovely time meeting the children, and are both very excited to be getting my class and can't wait for a great start in September. The children have all loved having Max the dog stay at their homes and spend time having fun with him over the weekends. It is so lovely to look back over this two diaries and read all the adventures he has been on with my class. He really has a had a great year - THANK YOU TO MY CLASS! 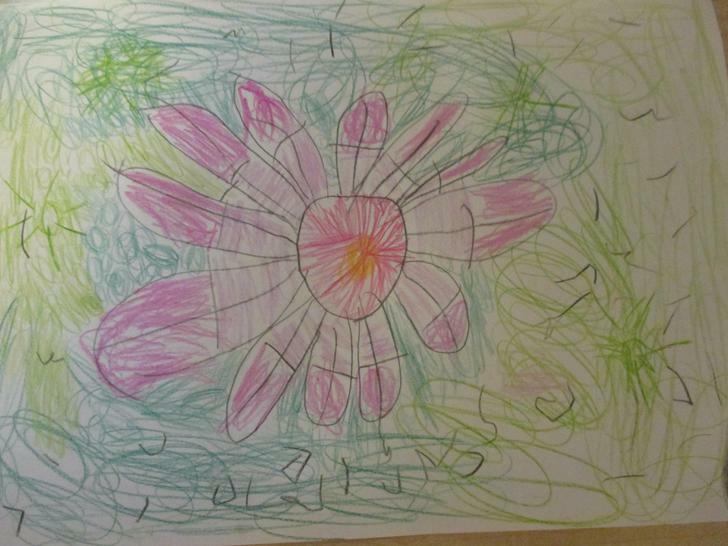 Holly wanted to share her amazing observational drawing of a flower! I think you will all agree it is stunning, well done Holly! 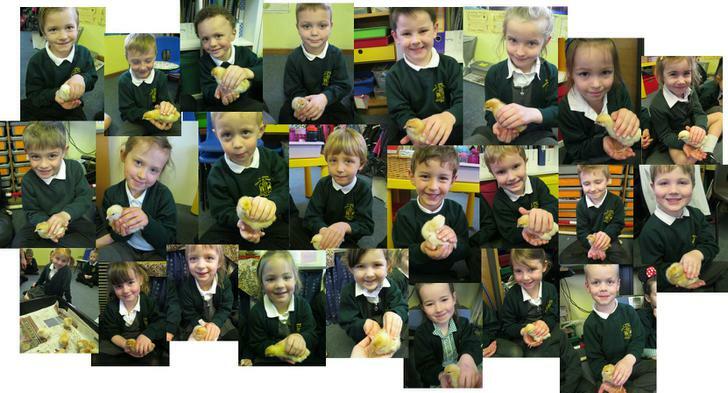 The children thoroughly loved our 'Living Eggs' experience! To see more photos click on the link below. 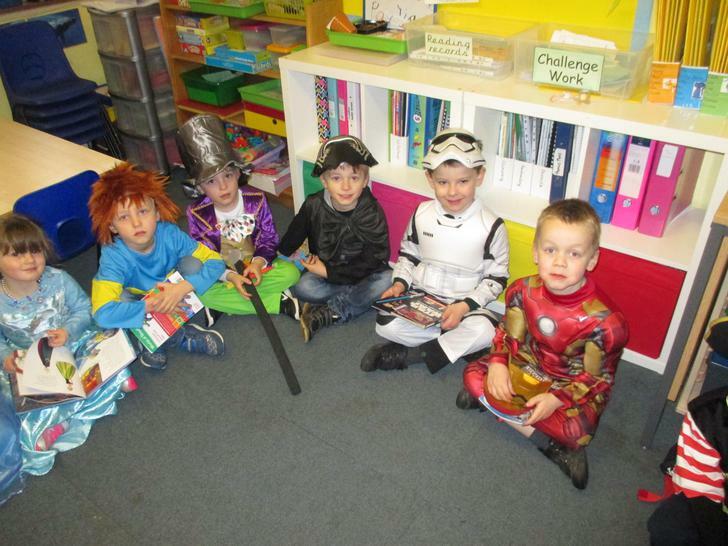 World Book Day was a lot of fun, the children dressed up as a character from a book they love. 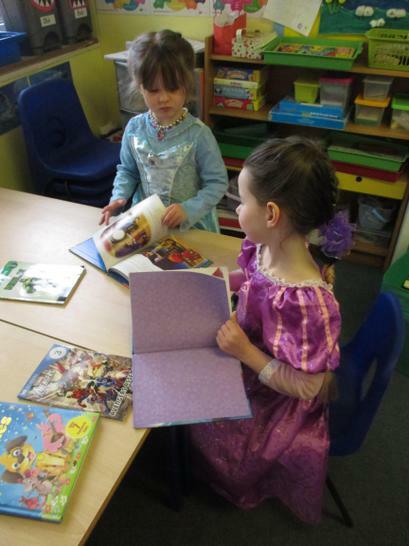 They also brought in their favourite books and told their friends about the book. 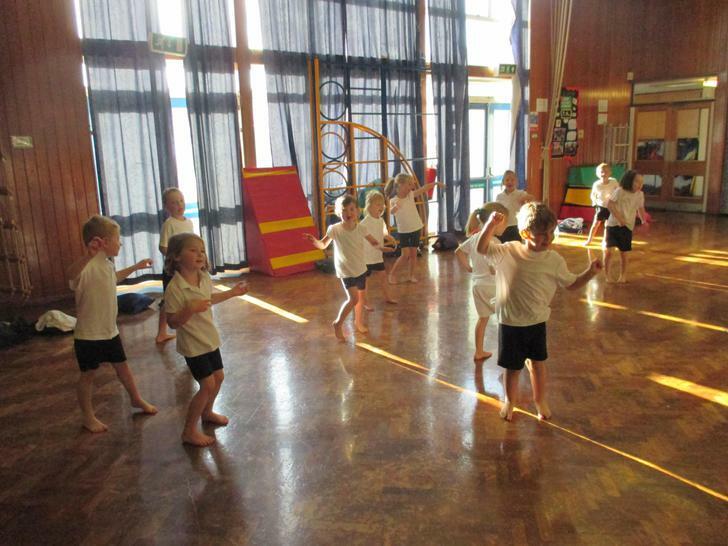 During the spring term the children are coming into school each morning and taking part in 'doodle time'. They are writing simple sentences and sounding out words. Any practise you can do at home to help your child get better at their writing would be GREAT!! 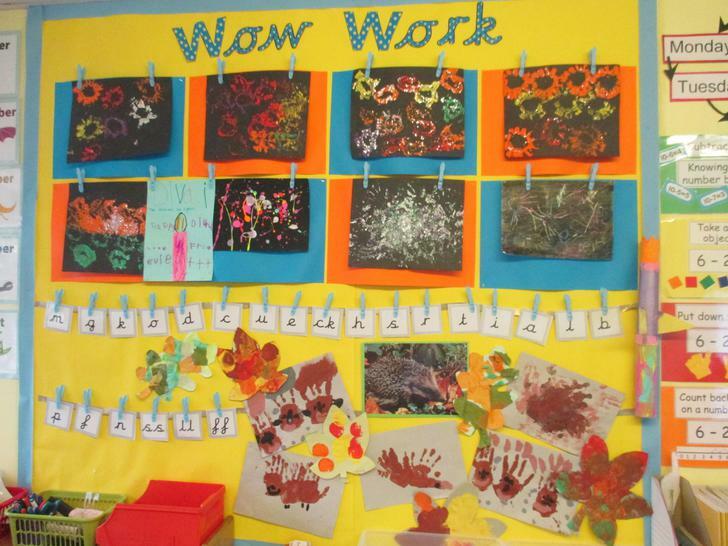 Your child could bring in some writing they do at home and we can share it on our WOW wall! Can your child copy and complete any of these sentences? 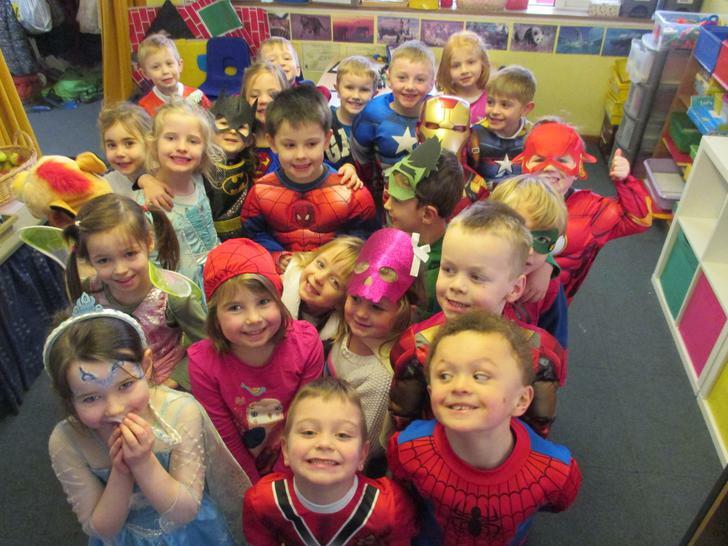 The children enjoyed dressing up as a Superhero at the end of last half term! 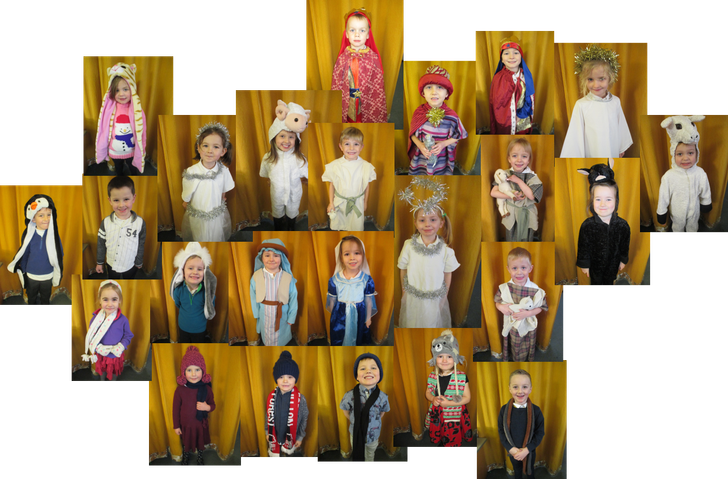 In December all the children took part in our Christmas play and sang beautifully to their families and friends. 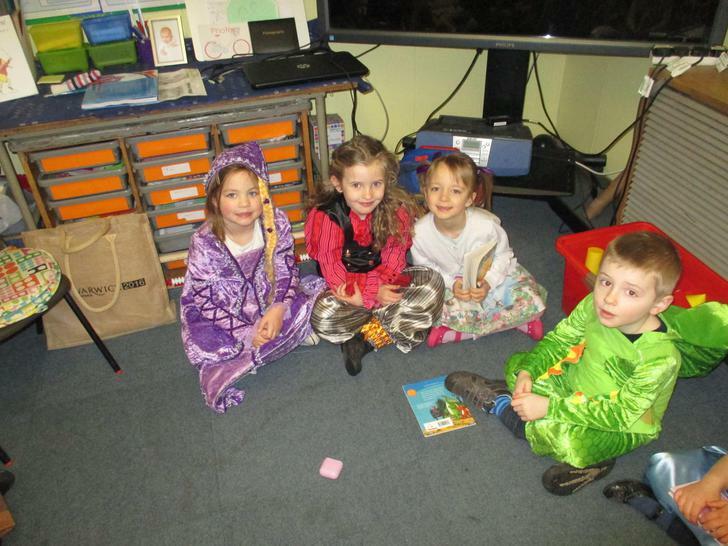 Here they are in costume! 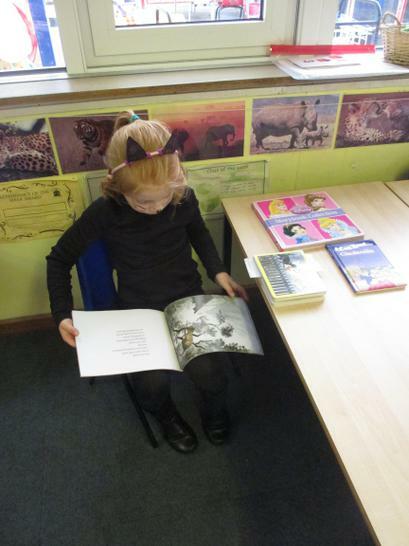 Click on the link below to find out how you can support your child in reading over the Christmas holidays. 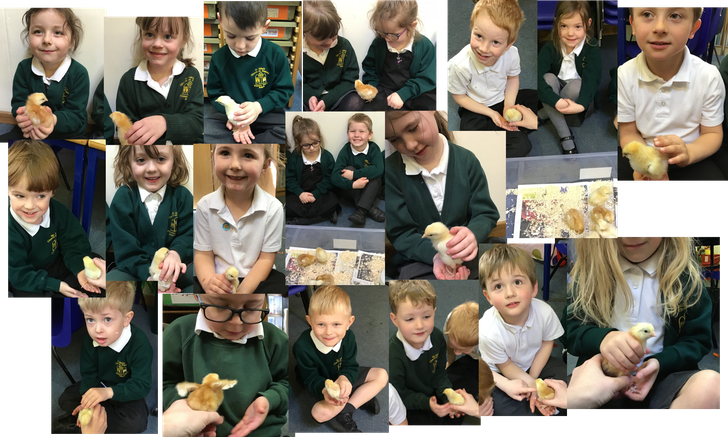 We have so many more exciting things planned as the year goes on and I can't wait to see what ideas the children have to lead their learning onwards, I wonder where our learning journey will take us as we move into 2017? 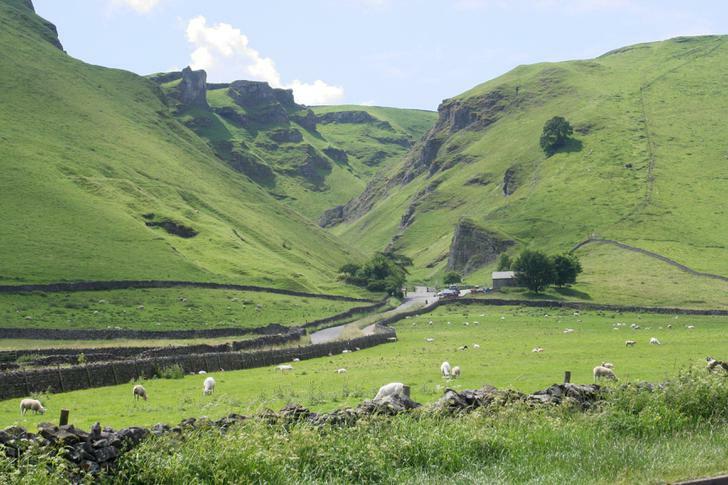 I will be using this page to add information and some photos! 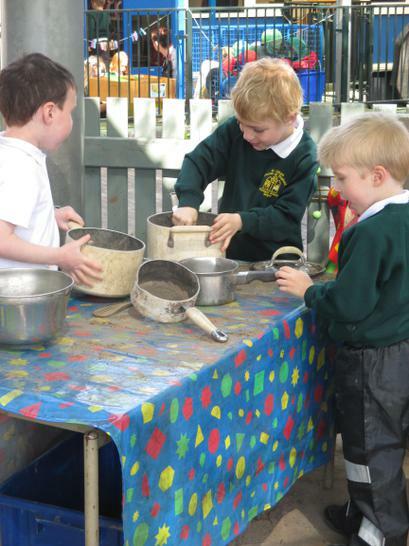 Don't forget to explore the other links on our Reception page on this website, there are lots of ideas for how you can support your child at home and on-going messages will be posted in the 'notice board' link. Lots more photos will be posted in the 'Reception Photographs' page too! Our Class Has a New Name! 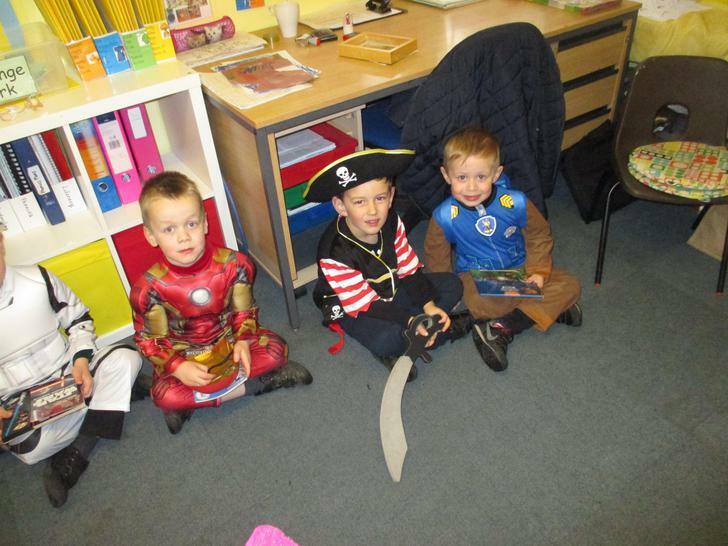 The other classes in Reception are Buxton and Ashbourne. If you need to contact our school this school year, or a relative needs to, you can use this name as well as mine (Mrs Smith), to identify the class your child is in. Indoor PE is on a Monday, and outdoor PE is on a Wednesday for my class. The children are expected to have a go at getting changed themselves. It would be great if you could practise these skills at home by letting your child get dressed themselves in the morning and at bedtime into their pyjamas by themselves. 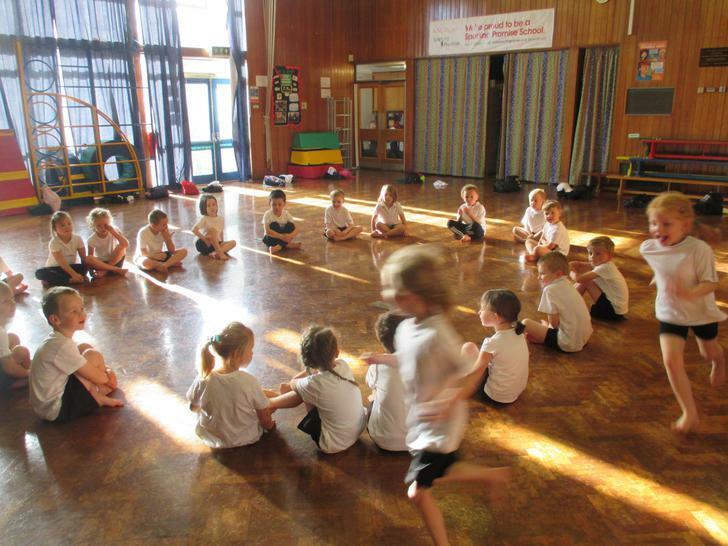 Let your child practise putting on their own socks and shoes as often as possible. 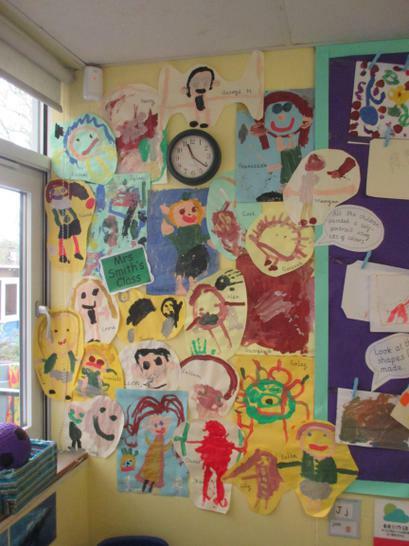 Some of the displays in our classroom so far! 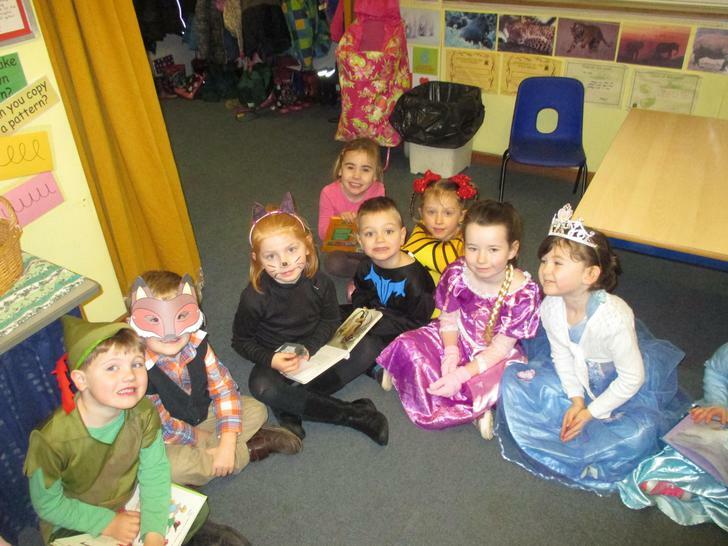 Well done to everyone who dressed up as a character from a Roald Dahl story! 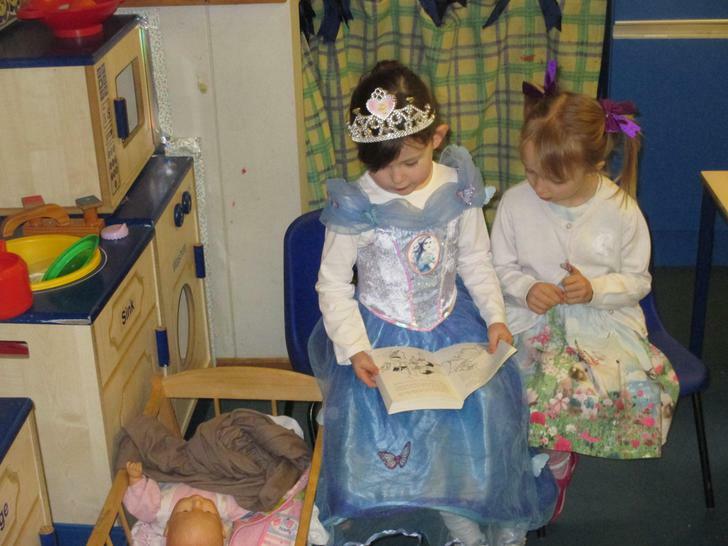 The children looked amazing and we had a great day. 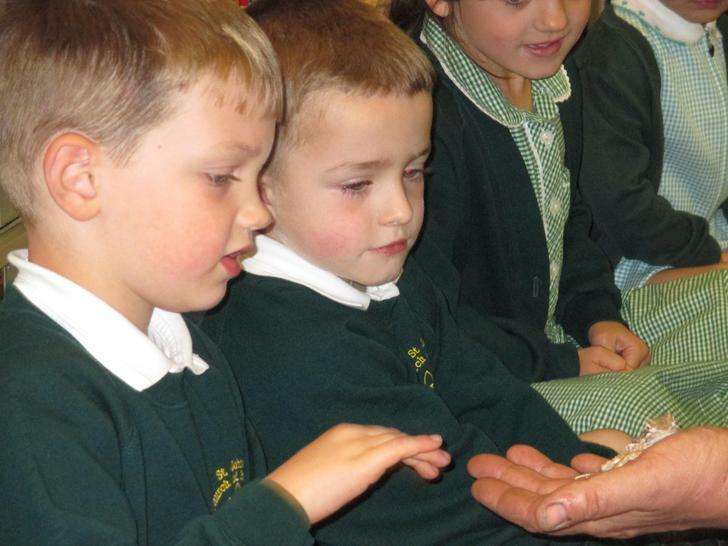 We painted and collaged the Roly-Poly bird, as well as learning a song about the ENORMOUS crocodile!